It's no secret I love homemade pizza. And, I love caramelized onions. They turn so sweet when cooked slowly in butter over a low heat. All the bitterness melts away. The kids eat the cooked onions like candy. Whenever a recipe calls for onions, I have to cook double because I know little ones will be begging for "samples." So, it made complete sense to combine the two, making one tasty pizza. Punky Brewster is very excited about our herb garden, so she also suggested adding sweet basil...which was pure genius. Where pure genius is lacking, is what to do with this particular project. It's gathering dust in my living room and preventing me from finishing up several other projects. I do have some plans for, this little UFO (UnFinished Object) of mine...tune in tomorrow for some details on that one! It's going to be AWESOME. Right now it's perched behind my couch. It needs to be finished and moved UNDER the TV. Then, the dresser that's UNDER the TV, needs to move UPSTAIRS. 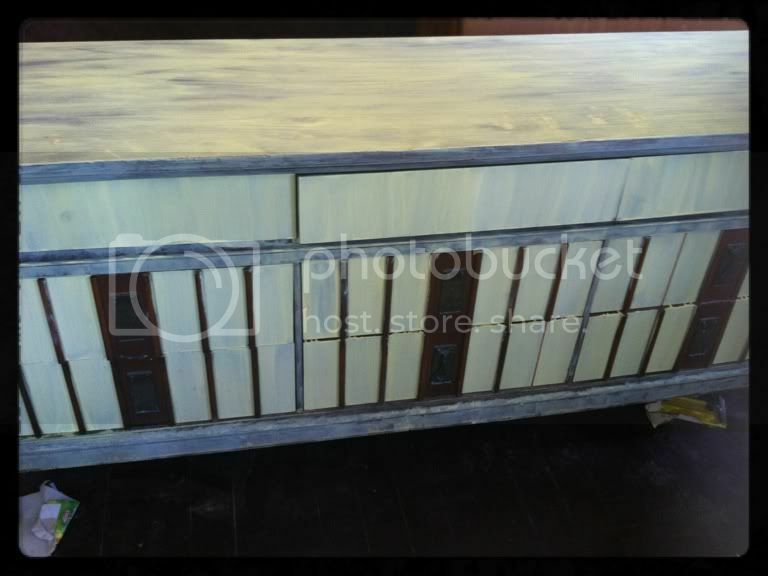 There it will be filled with the contents of my linen closet. The soon to be emptied linen closet will take the contents of our closet under the stairs. The closet under the stairs will remain empty because it's our only "safe spot" in case of tornado. If you think about it, this one dresser is pretty much a danger to my family :P I better get it taken care of ASAP! In a sautee pan, melt butter over low heat, careful not to burn. Add onions and let them cook until starting to turn brown. This could take up to 10 minutes. Stir occasionally, to make sure the onions don't stick to the pan. If they start to stick, add a small bit of water to deglaze. On your pizza crust, spread out the sauce, then top with 1 C cheese. Spread onions on to the cheese, then top with remaining 1/2 C cheese. Sprinkle with basil. Bake in oven for 15 minutes until cheese is golden and bubbly. I want that pizza. Right now please! Can't wait to see your FO (finished object) - the pizza looks yummy ! Sounds delicious! TFS and have a great week! Also being a homemade pizza fan, I have to say that this looks delicious! Good luck with your UFO! Your pizza looks so yummy, makes me wish my DH wasn't such a pizza nazi... no pizza in our family for health/ weight reasons. :( But if I did make pizza, this would be at the top of my list! I can't wait to see how your UFO turns out! I love your attention deficit disorder blog! I love to blog about different stuff, too. dang it now I want pizza! The onions do sound great! This pizza looks fabulous! I love onions and my kiddos love them too! Have a fantastic week! Micki, this looks so yummy!! You has me at carmelized onion...can't get enough! And I'm loving this UFO project party....how clever. Goodness knows, my place is full of UFOs. Thanks so much for stopping by! Have a great day! This one is going to my recipe board on Pinterest. Sounds really good. Thanks for sharing the recipe at Show & Tell. So glad to have you join in! 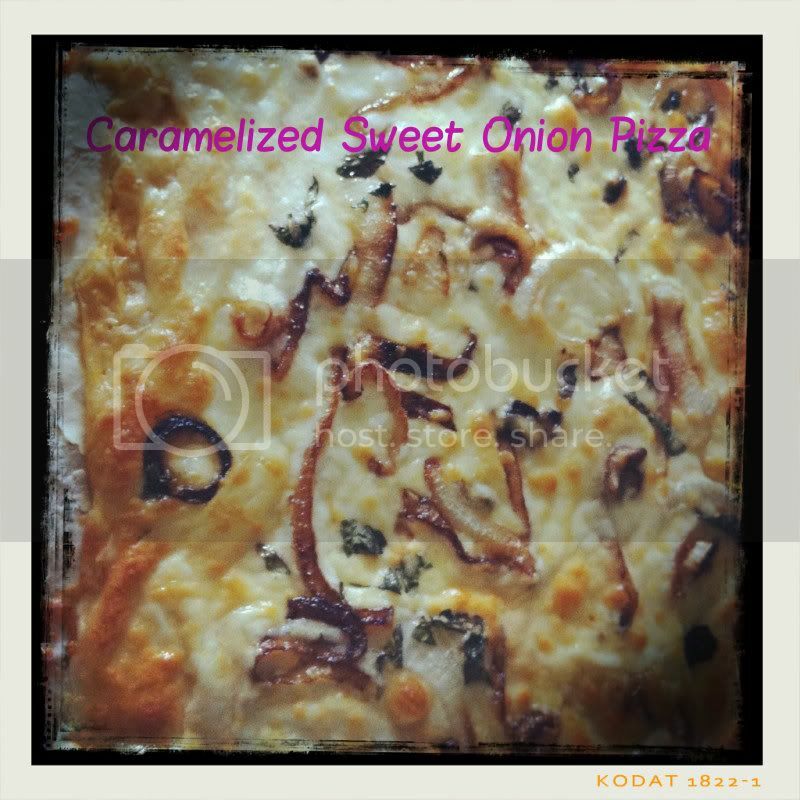 Yum, caramelized onions are amazing on pizza and this recipe looks fantastic! Thanks for sharing - we hope you'll be back for Beautify It Monday next week! Thanks so much for linking up to Creative Thursday this week. This looks divine! I love homemade pizza and am always looking for new recipes. I can't wait to see what you link up next week. Have a wonderful weekend. Ahhhhh pizza! One of our favorites! This sounds great, especially the caramelized onions. 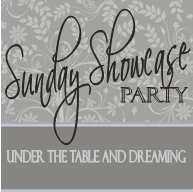 Thanks for sharing at Scrumptious Sunday! Hi there. The current Food on Friday is all about onions! So it would be great if you linked this in. This is the link . Wishing you very happy Holidays! Thanks for sharing. Awesome content. I bookmarked it for future reference. The post shows that the writer has done a thorough research and very knowledgeable about this topic. I hope to read some more of your post in future. How to save money on produce?